Spring has sprung!! I know so many people say fall is their favorite season because it has sweaters and pumpkin spice lattes and whatnot, but hands down my favorite season is Spring!! Thankfully it's even starting to feel like spring here in Dallas and I couldn't be happier. 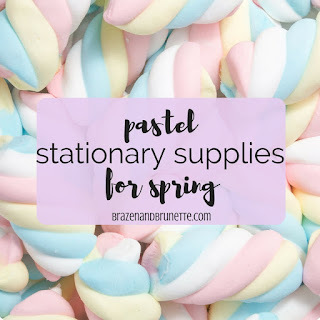 To celebrate (or get you in the mood if you live up north where it's still freezing), I'm sharing some of my favorite spring-colored pastel supplies! Staedtler really is a staple brand to have because their pens are just amazing! The colors are perfect and they don't bleed at all. The pastel Staedtler pens are great for either brightening up your notes or writing up your spring adventures in your planner. Since retro is the new thing, let's throw it back to elementary school with some pastel gel pens! And you can totally be a ~signs legal document with a pastel pink gel pen~ kinda person with these. Okay so these are technically "pens" but they're more like markers. If you're on the creative side, then these pastel art pens are perfect for everything from bullet journaling to practicing your calligraphy. Haha at this point I'm using the term "pens" very fast and loose here, but these pastel Sharpies were just too pretty not to include. But in my defense, they are fine point so at least they're close to being pens! Allow me to introduce you to the iconic Zebra Mildliner highlighters, but in pastel. 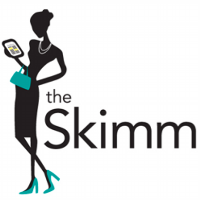 They will literally make your day as you're highlighting in your casebook because they're so bright and cheery! Equally as iconic is the Stabilo BOSS wallet! They're so cute and chunky and now they're pretty in pink (and 5 other pastel colors as well! I've been obsessed with Pilot FriXon highlighters ever since I saw them "in the wild" haha because they actually do erase themselves without smudging and leaving a residue! So of course, I had to include the pastel set of these erasable highlighters in this list. These pastel highlighters are super cute and chunky just like the Stabilo ones above, and are in some seriously gorgeous colors! Okay last set of highlighters I swear! I just had to include these Monami pastel highlighters to the list because I like how there's actually a wide range of colors so you get a lot of options even though they're all pastel colors. I know it's the beginning of the semester, but now is a good time to grab some extra notebooks before you run out of room or stock up while it's off-season for school supplies. This set of pastel notebooks is absolutely adorable to go matching with your pastel pens and highlighters. Of course I would be a terrible law student if I didn't throw in some pastel legal pads! My 6th grade math teacher actually made us use these because she had read somewhere that colored paper is easier on your eyes or helps you concentrate better. I can't exactly remember what it was but I know we were the most colorful 6th grade class ever haha. If legal pads aren't your thing, but you want to try out my math teacher's theory on colored paper, then maybe try these pastel notebooks. They have dotted lines which I think are pretty cool! Lastly, are pastel pocket journals! These will be great to have at your internship but you can get some use out of them now by journaling or just jotting down thoughts in them. Tell me you don't get happy just looking at one of these pastel file folders! They come in lots of soft colors but also are great for keeping up with professor handouts or storing your résumés in a place where they won't get crumpled. Page tabs are amazing because in your casebook they can help you easily find chapters and in your statute book they really help to quickly find a statute when you're on call. So you might as well make your book pretty with some pastel page tabs! Washi tape is great because not only will it really step up your planner game, but it's great for around the house! I will tear off a small piece of tape and stick it on leftovers with the date I made it so that I don't accidentally eat something so old it went bad. With lots of colors in this pastel washi tape set, you can find lots of ways to use them! Whoo okay I'm done!! Haha I hadn't originally meant for this post to be so long, but once I got started I just couldn't stop because I already love both stationary supplies and pastels. Do you like pastels too? Or what's your favorite part about Spring?! I'd love to know so tell me in the comments!